After a search of Christmas decor ideas on Pinterest, I came across a twig star tree topper from Pottery Barn that I immediately knew I wanted to recreate. I stopped into my nearby park and scoured the ground for twigs of all sizes. This is what I came up with. 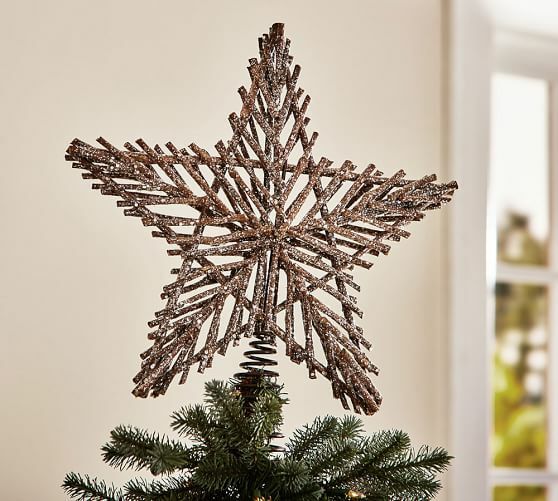 Now, I have no idea how much the Pottery Barn twig star was worth because it wasn't available for purchase on their website, but I'm sure it was probably around the $50 range and that's being modest. I have always thought their prices were a little to much so even if it were in stock, I probably would have DIYed the heck out of it anyway. Using the same idea as above, I created the star shape using the straightest twigs I could find and put them together using floral tape. This was faster and a lot neater than trying to hot glue them together. I then Used more fairly straight twigs starting at each point of the star and met them in the middle. This is necessary in order to be able to apply the smaller twigs to fill in the star. To apply the smaller twigs, cut them to fit using a really heavy duty pair of scissors or shears. Start from the point and work your way to the center. Try to position each twig to angle outward in a fan style. 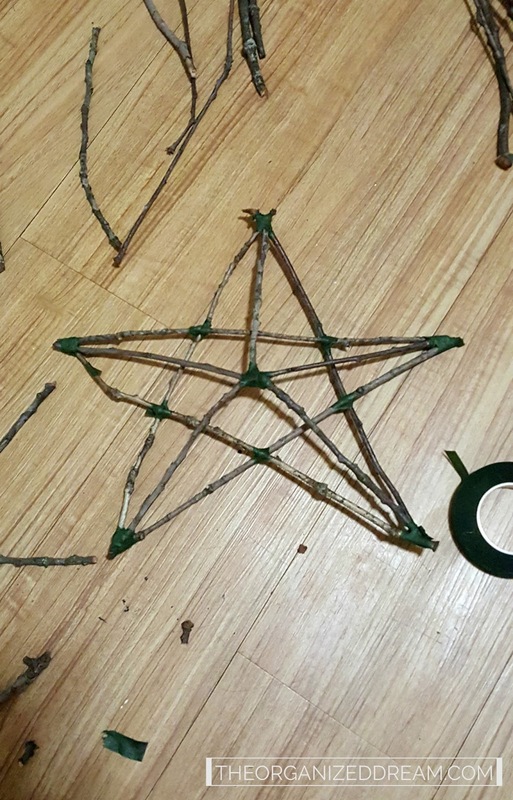 Each piece should be glued with one end on the center twig running from the center and the other glued to the outside twig used to create the star shape. Make sure there is enough space to glue twigs on the center twig for either side to complete the point. You can see what I mean in the image below. I tried to make my star appear a lot fuller than the Pottery Barn star because I thought it looked a lot better that way, but you can add as many or as few twigs to fill in the star as you wish. Because I filled it in, you can't see the floral tape and that's a plus because I thought I was going to have to paint it when I was done. Once your star is filled in, you can either purchase an inexpensive tree topper from the dollar store that has a similar base as the Pottery Barn one or you can use wire to hold it to the top branch like I did. 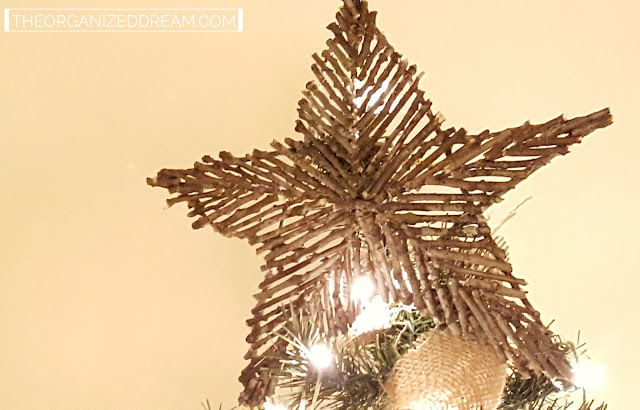 This was an easy and super inexpensive project that adds a beautiful rustic look to your Christmas tree. This is so simple and unique! I LOVE it and I will definitely be making as part of my Christmas decor this year! Yay! 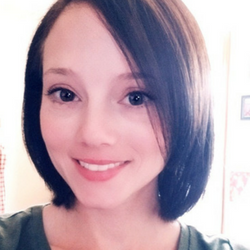 I hope you have fun! I admire how hard you worked on this beautiful star! I love stars and just love the tree topper you made! 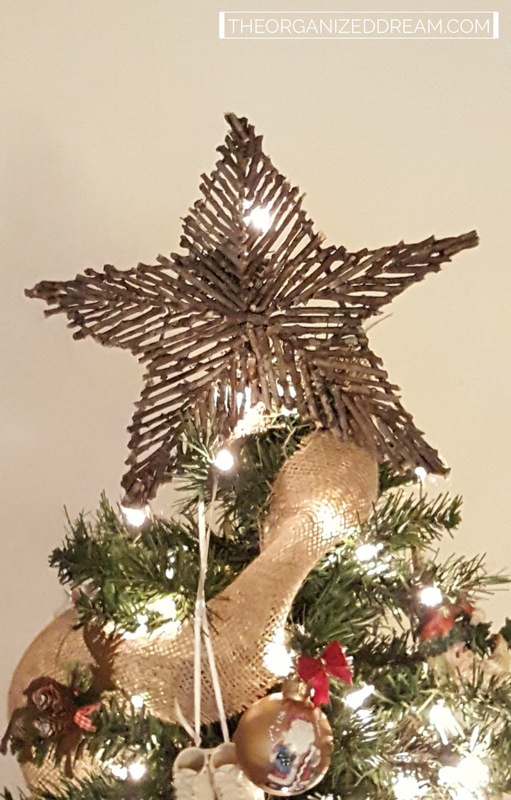 I am a complete sucker for all things rustic and I just adore this twig star! I see a project coming on this weekend!! 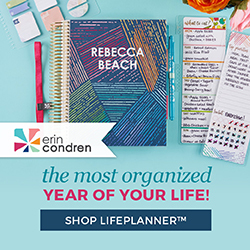 Thanks so much for linking it up to our Inspiration Galore Project Party this week. Pinned and shared. I think you did a fabulous job on this! I don't even have a rustic tree and I want to make one. Maybe I'll surprise a friend with it so that I can still make it. Lol. Thanks for the tutorial!